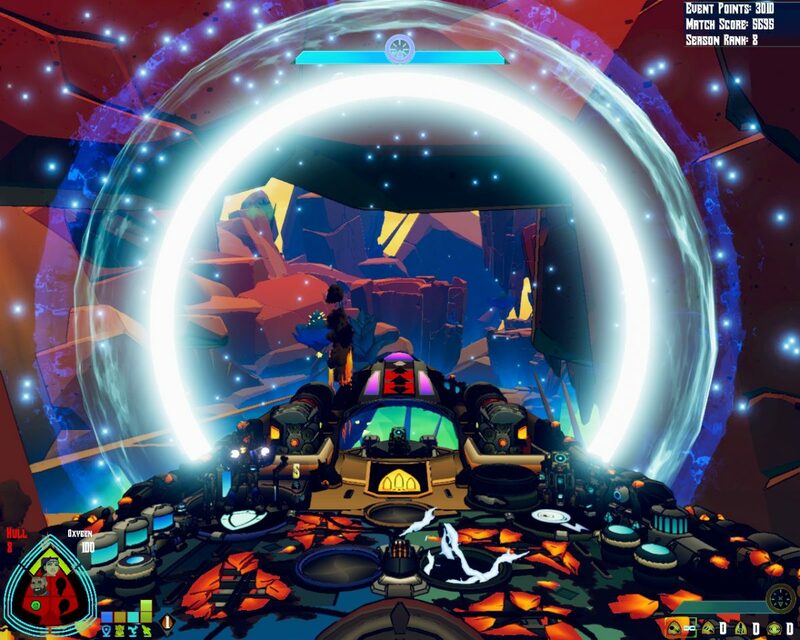 Interactive media has a lot ways it can influence players. For some, it is an educational experience rooted with a deep knowledge of history that can provide non-traditional learners a way to gather information. Okhlos is none of that, so you can completely disregard the last few sentences you read. 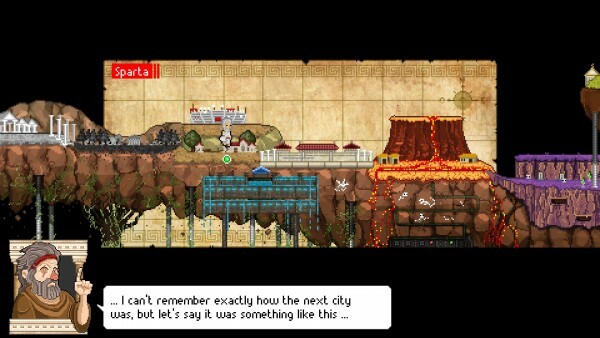 Okhlos is a great example of the dumb catharsis video games bring us. Rooted in references to historical myths and understanding but owing more influence to the likes of Rampage the game puts you in charge of an angry mob pissed at the Gods for being buttheads. There’s probably more to it than that, but again, who cares. 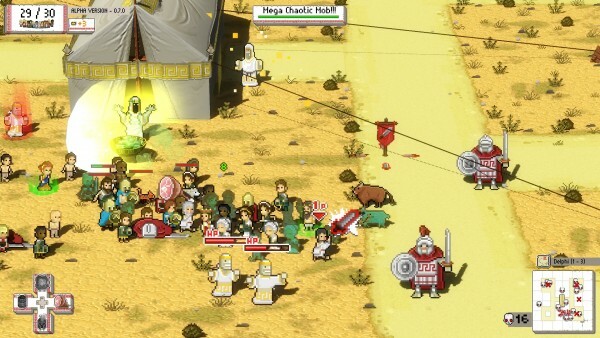 Smash everything is the name of the game and Okhlos provides more of that than you’ll ever need. 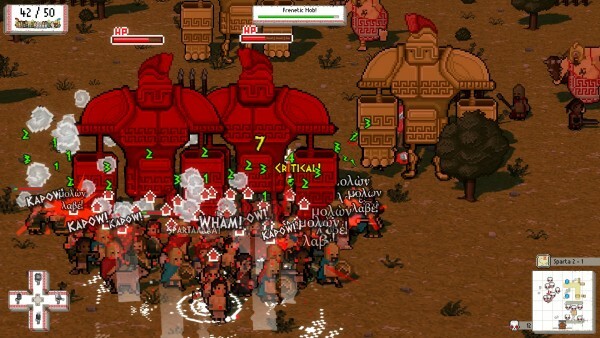 To be technical, Okhlos is a rogue-like game all about balancing two sets of characters. Controlled by keyboard/mouse or twin sticks on a controller, in order to survive you need to prevent your philosopher from as much damage as possible, while moving them around close enough to swing the whole mob at your enemies. 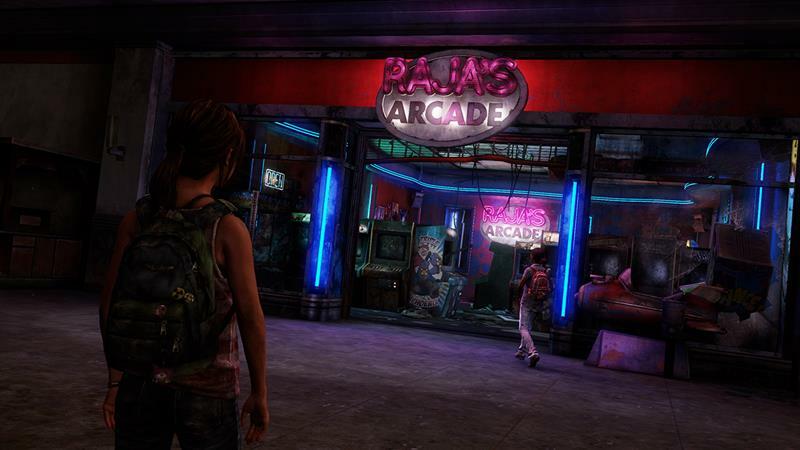 In order to gain access to the next area, you’ll have to kill all the enemies in the zone. Maps are pretty interchangeable with the exception of new fancy enemy models and types of props to destroy. If you lay waste fast enough, your mob can do ridiculous damage and smash everything in sight including the buildings. 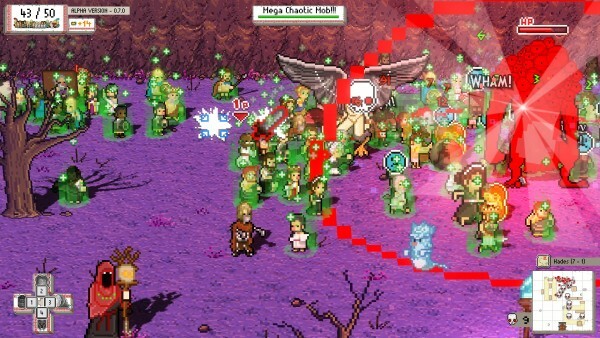 Getting caught up in the chaos is where Okhlos really shines. The bigger your mob gets the more fun it is to take everything head on. It wasn’t until the end of my longest run when I started using the defensive maneuvers. Up to that point the only concern I showed was for the active philosopher and I hurled everyone else at everything around me. Having no concern for my surroundings made the game start to feel redundant, but this is broken up by the bigger bosses at the end of each section. 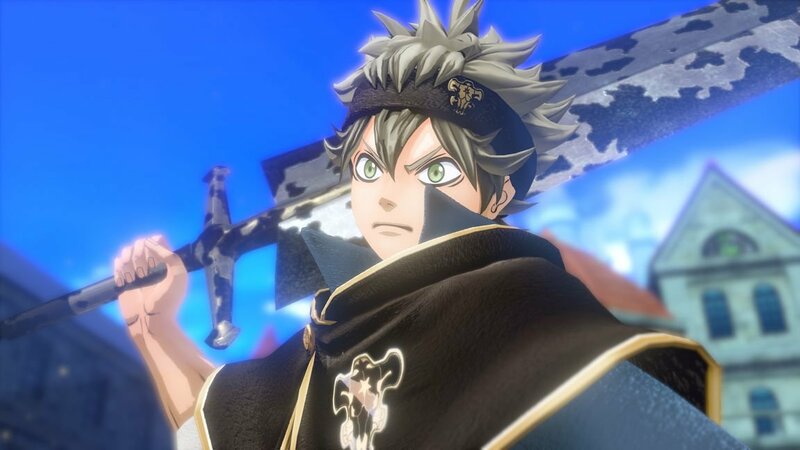 The game has great character design and music. It has a decent balance of the old and new in both. A lot of folks are tired of pixel graphics but they came to great use in a game like this. The dialogue and writing features a lot of snark, a favorite moment of mine being an argument about the spelling of Poseidon. The whole setup is a great reminder to the player that this isn’t something to be taken seriously and let yourself have fun with it. The characters are fun, with everything from satyrs and centaurs to nymphs and gigantic metal knights. The Atlantis segment is littered with dolphins on spits, if you’re into that sort of thing. Once you let go of worrying about your mob’s specifics and just go for all the chaos you feel invincible marching your way into victory. Until you die. I couldn’t tell what was going on when I made it past the third or fourth boss without coming near death. The trouble with everything I said up to this point is how quickly death comes. Turns out, paying attention isn’t a bad idea, and it’s nice to make sure you’ve got a backup philosopher or two. At that point you get to start back at square one with a new mob and set of enemies to crush. Full disclosure: This review was written based on a review code supplied by the game’s publisher, Devolver Digital.